All We Need Is… Another party! 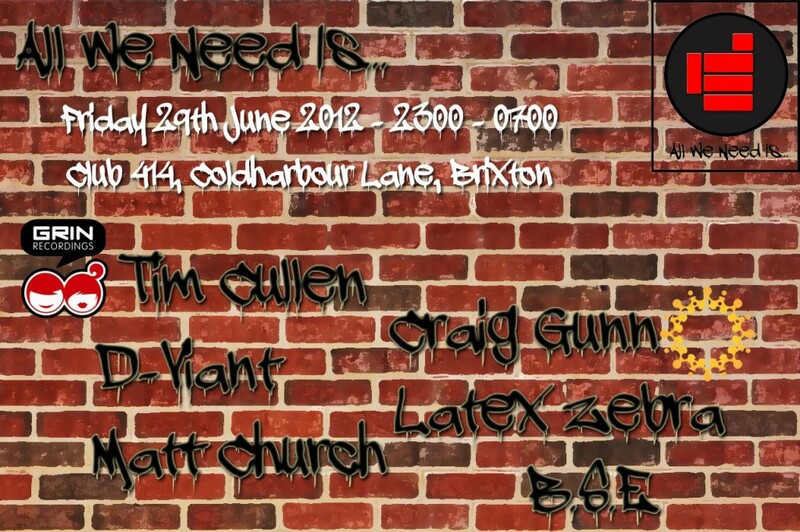 Returns to Club 414 with another cracking line up of top House talent. Our star guest this month is none other than Grin Recordings Tim Cullen, playing at some of London’s premier House events and venues. Like The Gallery, Grin, Plastic Fondu, Smartie Partie and ElectronicSessions, among countless others. He can be found at venues like The Ministry and Gigalum and has also played at Turnmills, Egg and Pacha. So, without even venturing into his successes as a Producer, it’s fair to say he knows what he’s doing. We also have Lost Dawn Promoter/Resident and, as is the case for all our guests, regular around town at the biggest and bestest parties; Craig Gunn. The Lost Dawn’s Summer Sound System parties are some of the best daytime events out there though for tonight we have Mr Gunn in a darkened DJ booth in the middle of the night! Another DJ who has played all over town and whose name is synonymous with… Well exactly what he said in the first line. 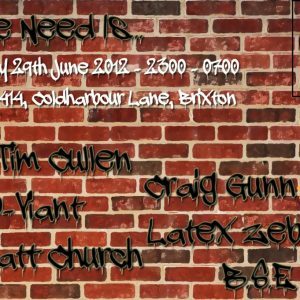 Along with residents B.S.E, Matt Church and Latex Zebra we have a night that will be everything you could want House music to be. .
All We Need Is… For it to be June 29th already!